Increasingly, I find I am helping parents find good books for sensitive kids. 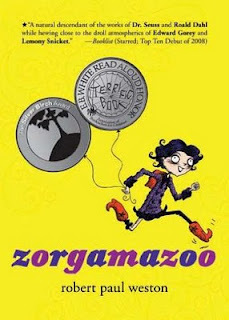 The popularity of Harry Potter and Diary of a Wimpy Kid introduced two different but influential themes of darkness, for lack of a better word, into the realm of children's books. More and more, a work of fantasy will present themes of darkness and suspense with antagonists who are much more malevolent, sometimes brutal and detailed than those that came before. Just compare IT, the mind-controlling, bodiless being who refers to "ITself" as the "Happiest Sadist" from A Wrinkle in Time with Voldemort or the Styx from Roderick Gordon's fantastic Tunnels series. While they all seem pretty nightmare-inducing to me, to young readers the concretely described, complex characters of Voldemort and the Styx are much more real and scary than the voice of IT. These themes and characters are increasingly standard for middle-grade fantasy, making the need for fantasy books without evil protagonists even more necessary, especially for young children with high reading levels. 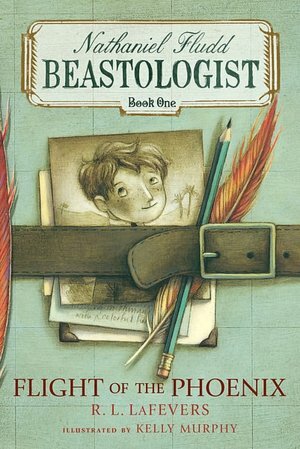 While at work I have met plenty of second and third graders who were tackling books 4, 5, 6 and 7 in the Harry Potter series, books that are very long and increasingly dark but, increasingly, I find these young readers stopping at book three in the series, if reading them at all. The Diary of a Wimpy Kid series has introduced a whole new realm of disturbing to the world of kid's books with the uncomfortable and sometimes cruel social situations main character Greg finds himself in or enacting on others. 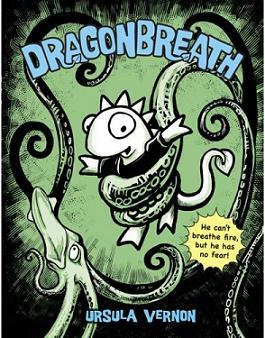 Recently, my seven year old son visibly cringed while watching the preview for the movie version of the third book in the series and I know he is not alone in his reaction. The other dayI spoke to the parent of a high reading boy who refused to even consider reading the Wimpy Kid books because there was an image of one boy pushing another on the cover. 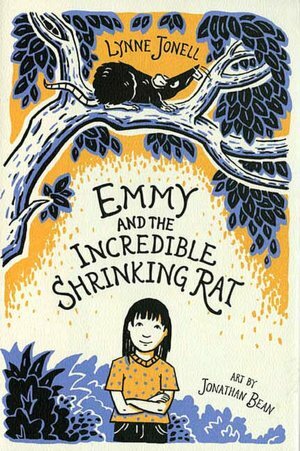 In my article How to Find Age Appropriate Books for Advanced Readers I discuss the dilemma that sensitive readers face. 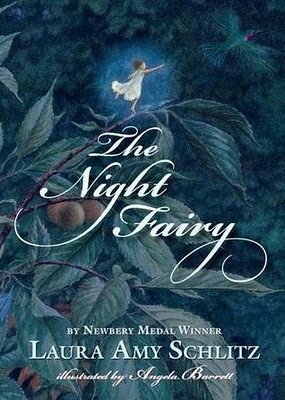 Fantasy dominates the shelves and, when that is not an option, these young readers are left with reality based fiction that often makes family and social dramas central plot points, issues that most seven and eight year olds are uninterested in and most parents will find inappropriate. So, what's left for these kids? I have created a new label, Good Fantasy - Harmless Bad Guys which features books with fantastical themes that have no antagonist or an antagonist that is more funny than frightening. These stories still have moments of suspense, which some readers are sensitive to as well, but they do not have the dark, malevolent themes or characters found in other works of fantasy. Also, these book represent a range of reading levels. 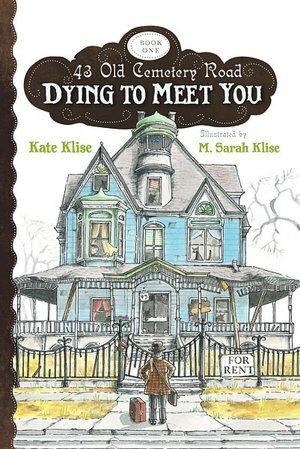 I have to be honest - I am not the best judge of what might be scary to sensitive readers and you may want to pre-read, or at least read my full review of these books before giving them to your children. As this list grows and my skill at seeking out these types of books is honed, I will update and expand the label. This list is meant to represent books written at higher reading levels that are appropriate for sensitive readers, specifically the youngest readers. I hope you find this helpful and your feedback is welcomed and essential to making this list valuable. Please, please don't hesitate to tell me if you disagree with a book given the Good Fantasy - Harmless Bad Guys label. And please, please let me know of books you have read that fit into this category, whether I have read them or not! I agree with you completely. I'm sure there are millions of kids who would appreciate "softer" books. I love this post and I am very exciting about what you are doing. My oldest is almost 7 and is reading independently, although I still read to him everyday and will continue until he is 18:-) Based on your suggestions in the past, he loves to read Sticky Burr the and Binky series. 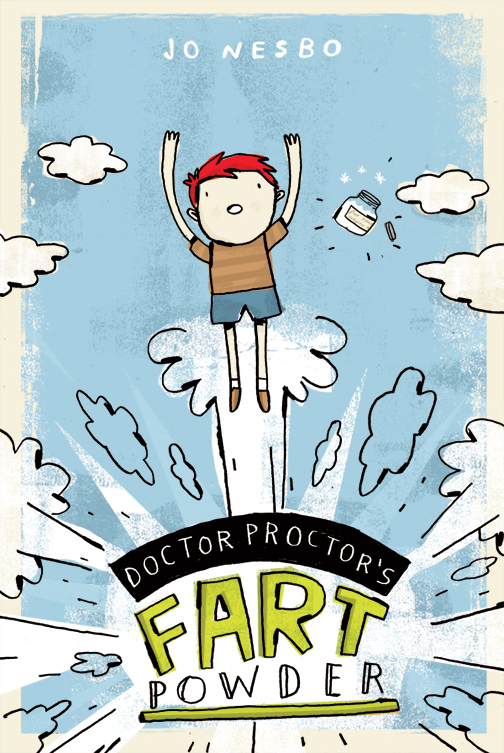 Many of his friends are reading Diary of a Wimpy kid and I just don't think the book is appropriate for him at this age. He is only in first grade, how can he relate to the experiences of a 4th grader. I will be borrowing your suggestions from the library this weekend. Thanks so much for your comments and support! 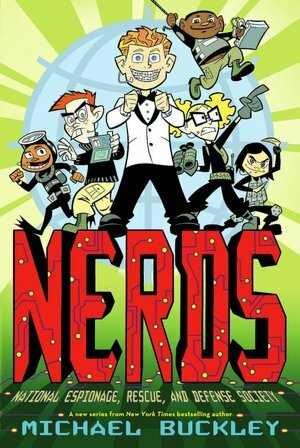 I struggle to keep my mouth shut at work at the bookstore when I see parents allowing or even suggesting their first and second graders read The Wimpy Kid or even The Hunger Games (YES! I just saw this happen yesterday!!!) I am thrilled that I can voice my feelings on my blog and also provide resources for parents who share my views and/or take an interest in what their children read beyond the cost of the book. Please continue to comment here with titles to add to the list! @ Bob - Thanks for the comment! I like the word "softer." I struggled to come up with the right words to convey the idea and still don't feel great about the name of the label... Am also trying to think of the name for a similar label for "softer" reality based books that are devoid of the strife and loss that are plot points for so many. Here you go again... providing concrete service to your readership! Thank you!! when my 5y.o. 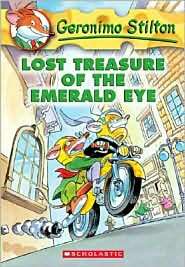 was ready to begin longer chapter books because this Geronimo Stilton Kingdom of Fantasy series was still "innocent -- even without sassy language" (in her words) unlike many chapter books in this category. To date, she has devoured the book through twice without so much as a single bad behavior learned. I am soon in the market for more of this category of books. So, thank you, yet again! Thanks so much for your kind words and Hooray! I am so happy to hear that a fellow bookseller made a great recommendation for your daughter! Geronimo Stilton books are fantastic and plentiful. Sadly, I have yet to find anything that is similar in content and tone. Interesting side note, you will never find this anywhere on the G Stilton website, but the books are written and illustrated by Italians! Don't forget to let me know if you come across any great books that fit this category! 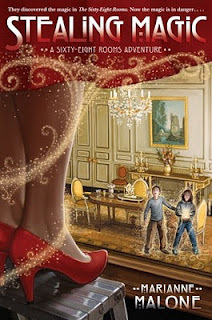 Yeah, I was so impressed with how my daughter took to the Kingdom of Fantasy series, I googled and found out that the Italians welcomed the books in this series (7, I believe) with similiar fervor to the U.S. uproar over the Harry Potter series! 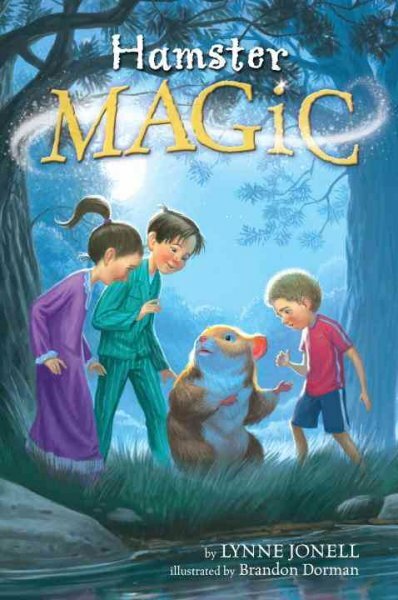 Incidentally, the Kingdom of Fantasy books are much different than the normal Geronimo Stilton books. They are much longer and not graphic novel-ly. They are chapter books that are generously sprinkled with pictures, fun textual graphics, maps, puzzles, and short introductions to classic stories that all relate to the larger story context. Super well done! I *love* the "Good Fantasy - Harmless Bad Guys" label and I come to it often. So--thank you very much for it! 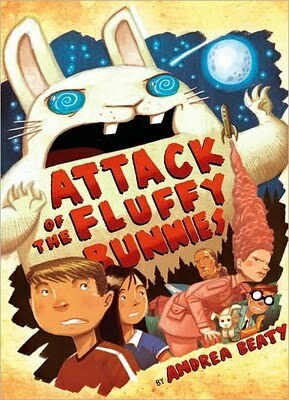 So far I have only disagreed personally with one of the books listed under it (having now read many many of them): I think the aliens in Attack of the Fluffy Bunnies are actually pretty scary if you are a little kid and are not familiar with the genre being spoofed. @ Jessica - Thanks so much! It's great to hear that this label is helpful. And thanks for your comments on FLUFFY BUNNIES - such a good point. I will take satire into consideration in the future when adding titles to the list. Great post. Exactly what I was looking for! my son is getting tired of books he calls 'nothing happening' now: like the light house series, tumtum and nutmeg, the railway children. All are great books but not much exciting happens, just make for challenging reading for a 6 year old. 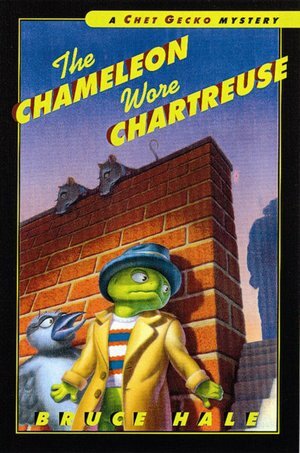 He read a 'book' from a homeschooling friends reader (the dancing bear reading program but he only read the story--in 2 days) and then read 'Nurk the (somewhat) brave shrew'. and now he wants 'exciting books'. I bought him a Tashi collection (contains first 7 books) but he says they are 'baby stories'. Excited to try some of the ones on this list! @ywilbur - Thanks so much for sharing your reading experience with your six year old son. I hope you find some good books (and series, to keep him busy) under this new label. I am SO sad to hear that your son rejected the Tashi books! 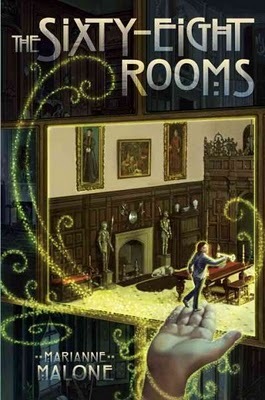 I think they are fantastic and very (gently) exciting and a little scary - there are ghosts, giants, phoenixes and more. 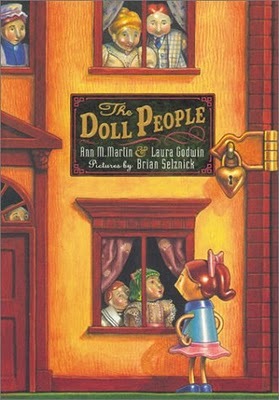 The reading level is a solid 2nd grade, similar to the Magic Tree House books. Maybe you can try Tashi on your son again? Keep me posted on what he ends up reading!